These can be made a day in advance – just whip-up the icing and add it right before you serve them. Heat marmalade until bubbling, then strain well. Mix milk and yeast. Let stand 10 minutes, then add 2 whole eggs, granulated sugar, a little more than ¼ cup of the syrup from the marmalade, butter, salt, nutmeg, cinnamon, and orange zest. Mix until well blended, then add 3 cups flour. 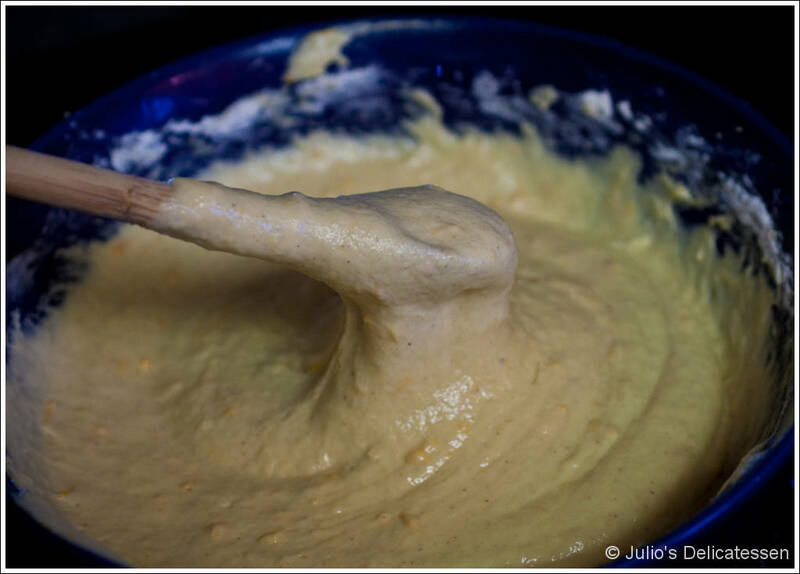 Mix constantly for 5 – 10 minutes, until dough is smooth and stretchy. Add just enough flour to make dough barely sticky (but not so sticky you can’t work with it). 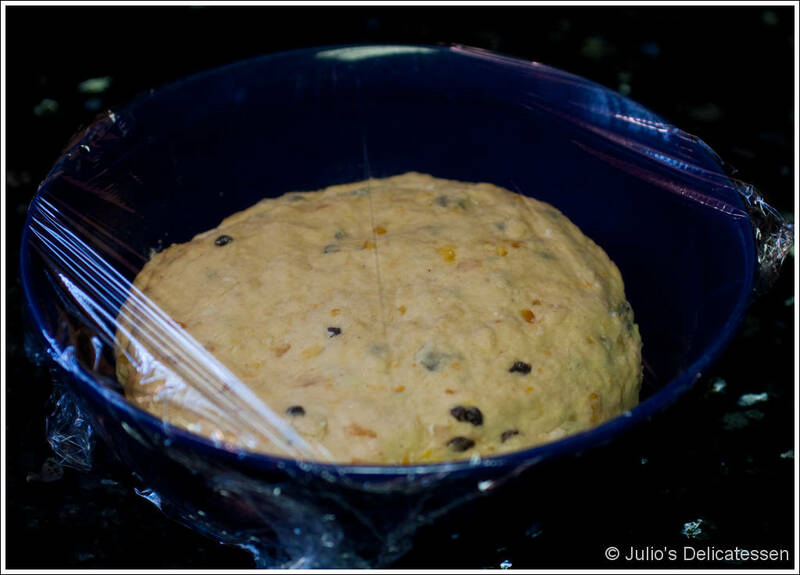 Add orange pieces from the marmalade and currants and knead into dough with your hands. Return to bowl and allow to rise until doubled, about 1.5 hours. 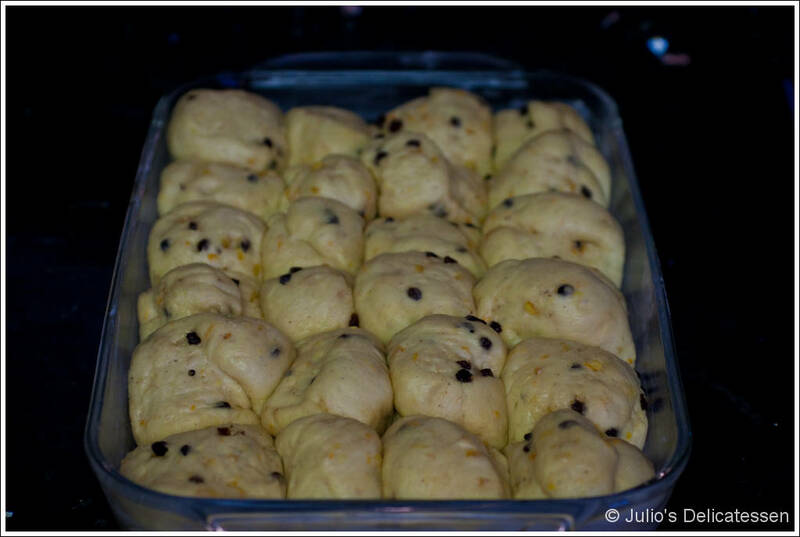 Punch dough down and (using floured hands) shape dough into 24 balls. 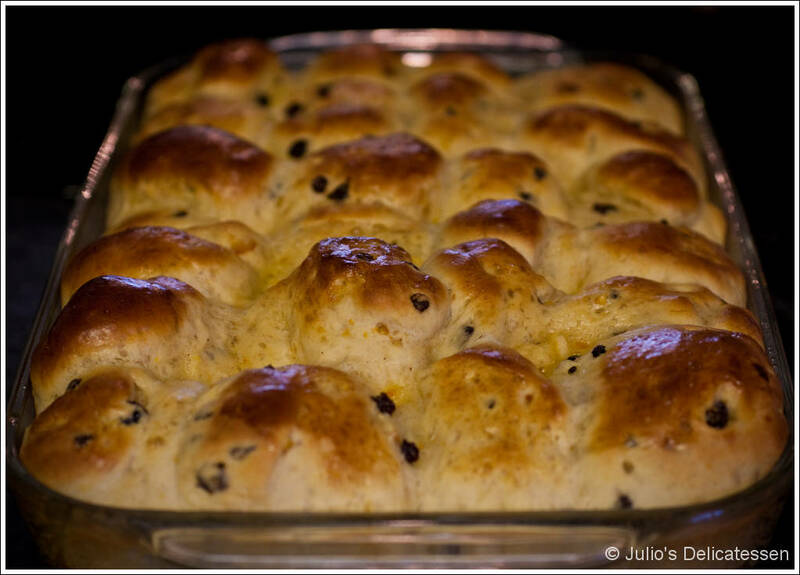 Space them evenly in a buttered baking dishes. 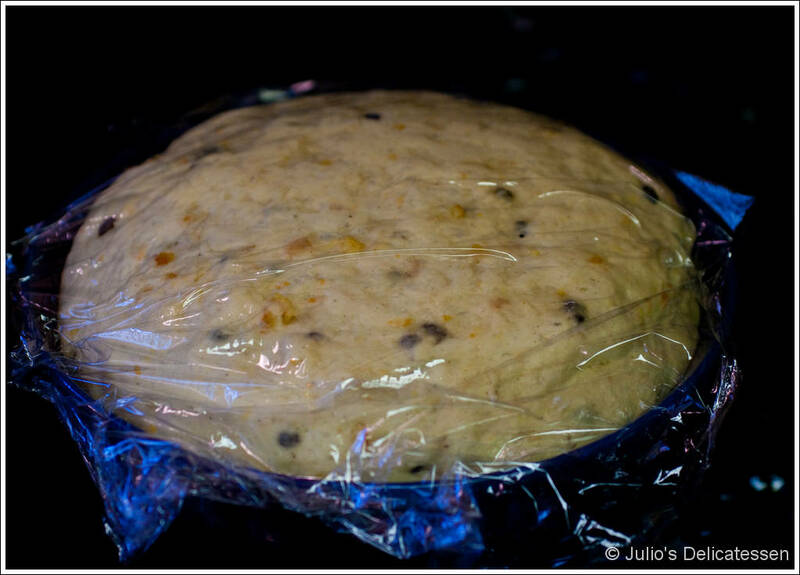 Cover loosely and allow to rise until very puffy, about an hour. Preheat oven to 400. Brush tops of buns with beaten egg and put directly into oven. Bake until golden brown – about 15 minutes. Allow to cool in the pan at least 30 minutes, as much as 24 hours. When ready to eat, mix powdered sugar and fruit juices until smooth. Using a Ziploc bag with one corner cut off, squeeze cross shapes on each bun. 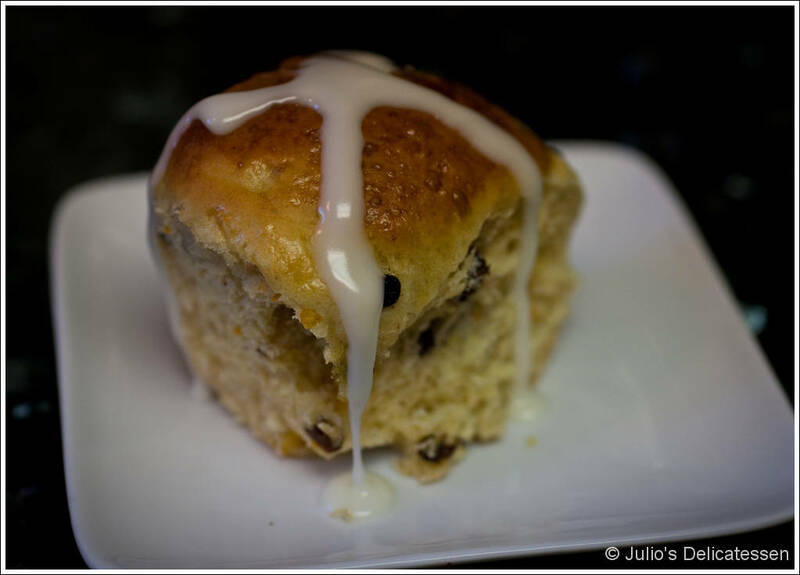 Nothing says Easter like hot cross buns! Norm loves these so I may surprise him by whipping some up. They sound yummy and look reasonably easy. Thanks for coibirtutnng. It’s helped me understand the issues.